The romanian children involved in the Erasmus + Project made some PPT regarding our country and the most important historical events. Here is one of their presentation. Because this week we celebrate Easter in Romania, like in other countries, we want to sent you our best wishes ! The holly Light to bring you happiness and joy, prosperity and many wonderfull moments with your families ! 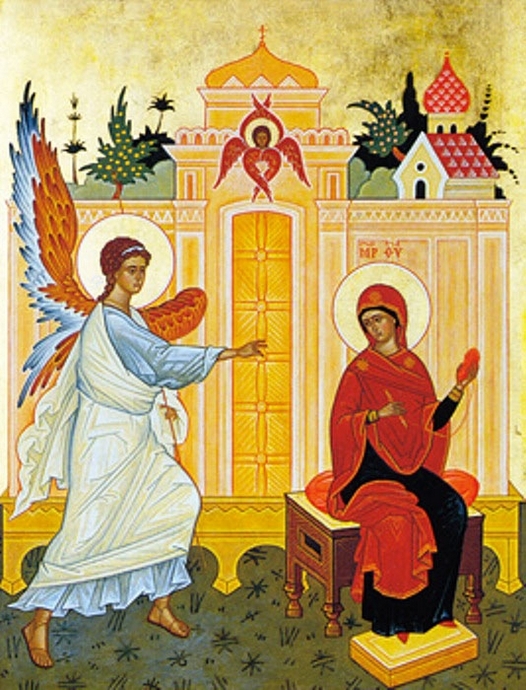 25 th of March - The Annunciation Day, which is also the Christian Mother's Day , is a very important romanian celebration. In that day, the angel Gavriil announced Virgin Mary that she will receive as gift from God, the holly pregnancy. This holliday remember for every woman that a child is a special gift received from God. Before Easter, in Romania, all the people use to have lent, to eat vegetables, fruits and evrything except meat, milk, eggs and cheese. We have two special events, the Annunciation and the Flowers Day, wich permit us to eat fish.